After the morning rains ceased and a set of persistent track weepers were dealt with at the Indianapolis Motor Speedway on Saturday afternoon, the majority of people in the grandstands got a pretty interesting taste of what could possibly result when the field will be officially set on Sunday. While several teams rose to the spotlight, others seemed to fall into the background some by surprise and others simply by bad timing or luck. 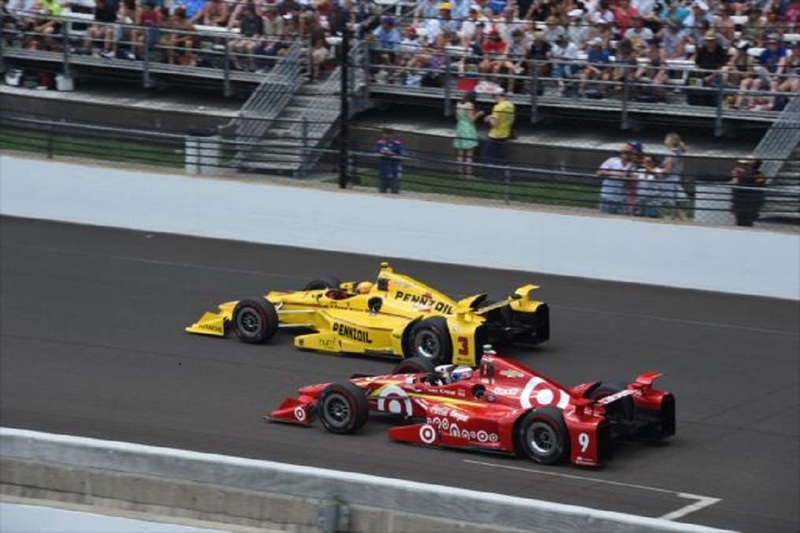 With the second phase of Indianapolis 500 Time Trials set to commence, here’s a look back at the big winners from phase one on Saturday and those who well… let’s just say were not as fortunate. Schmidt Peterson Motorsports: James Hinchcliffe just seems to have a knack for bounce back moments at the Brickyard. After suffering a concussion during the inaugural Angie’s List Grand Prix of Indianapolis two years ago, he returned a week later to narrowly miss out on claiming the 98th Indy 500 pole position in a close battle with Ed Carpenter. 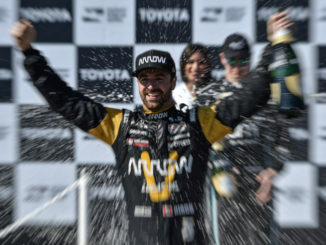 Following an even more devastating crash one year ago in which he nearly suffered fatal injuries, Hinch bounced back again in a big way Saturday to claim the top seed for Sunday’s pole shootout session. However, the Mayor of Hinchtown was not the only comeback story for SPM on Saturday. After suffering an equally nasty shunt at Fontana, California’s Auto Club Speedway in 2014, Mikhail Aleshin also surprised many by fighting his way into the shootout with the final attempt of the session on Saturday. The effort not only shows the Russian’s own ability to put the past behind him, but also proves that his solid effort in the season opener at St. Petersburg, Florida when he placed fifth was far from a fluke. And although he did not make the shootout as his two teammates did, Oriol Servia also stands a good chance to claim a high grid position in the consolation qualifying session on Sunday, after running a lap above 231 MPH earlier on Saturday. Of course, to top it off, it is always great to see Sam Schmidt’s team taste success after all the shortcomings he has personally battled through since being paralyzed following an IndyCar crash in the year 2000. Townsend Bell: Although Saturday was a mixed bag of sorts for Andretti Autosport, the early statement by Bell which featured the fastest single lap posted in qualifying mode Saturday showed that indeed an Indy-only competitor can challenge for glory in the Indianapolis 500. Entering Sunday’s action, Bell has the opportunity to become the first non-regular driver to claim a pole position at the Brickyard since Scott Brayton claimed the first of his back to back pole positions for Team Menard in 1995. Although it was then that the Menard V-6 was the king of speed that year, Bell’s performance was just part of the evidence that Honda may have figured out the shortcomings that put them behind the eight ball two months ago at Phoenix International Raceway. Of course, at the same time these kind of headline steals at IMS are far from unusual for the NBC Sports Network IndyCar commentator, who often finds ways into the equation after knifing his way through the field and into contention. 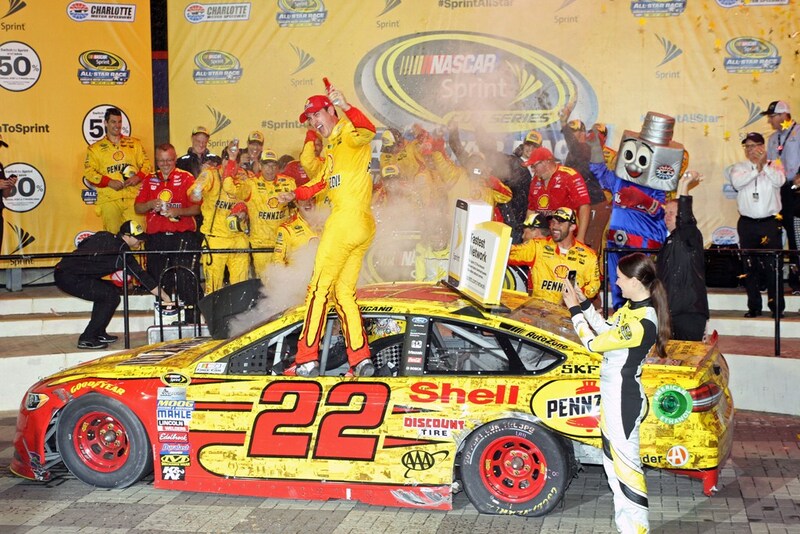 This most notably happened in 2014 when he was running second with 20 laps to go after starting 25th. 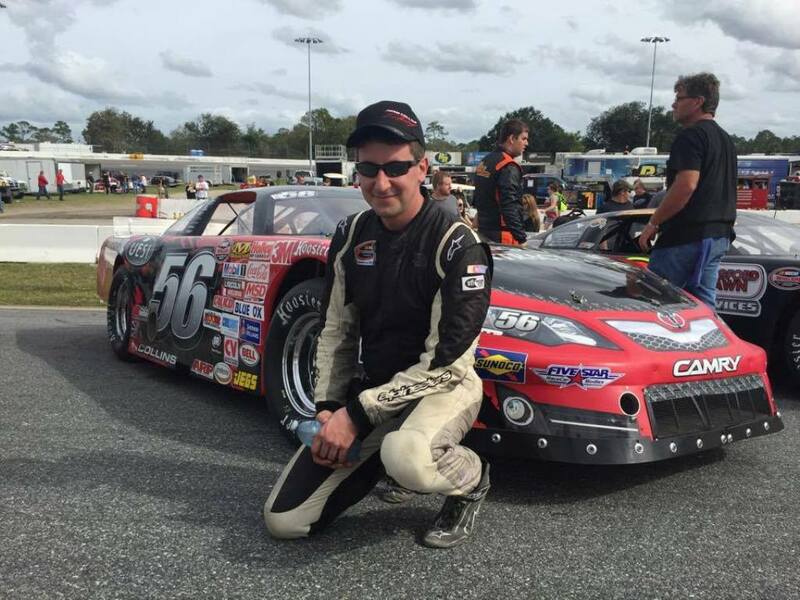 This time however, Bell is guaranteed to have less of a grind making his way towards the front this year and Saturday and perhaps Sunday of time trials weekend will play a big part of that heading into May 29, 2016. Chip Ganassi Racing: After Scott Dixon virtually monopolized the qualifying session for last year’s Indianapolis 500, the last thing one would have anticipated was a return to their time trial woes in 2014, when Ganassi failed to place a single car in the shootout for the pole position. Unfortunately, that nightmare had a major relapse as Dixon led the way for the team on Saturday, but only in 13th place. 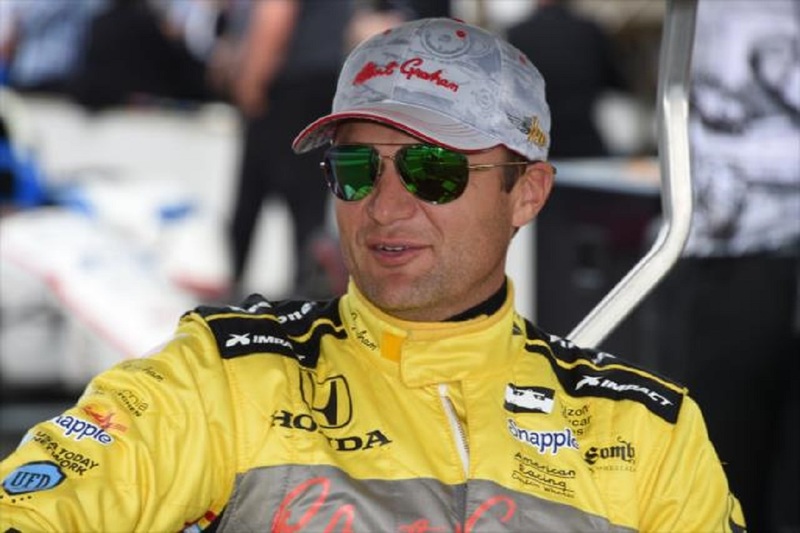 After showing potential earlier in the practice week, Tony Kanaan could only reach 228 on his one and only qualification try, while Charlie Kimball fell into a similar speed lacking time warp. Max Chilton’s turn two shunt in the warm-up session perhaps was a bigger bellwether of the struggles for CGR for Saturday than was initially thought. Expect a major bounce from them in Sunday’s consolation session, leading to a challenge for victory on May 29. Andretti Autosport: Yes, this Honda group leader placed three cars in Sunday’s pole shootout, however the late boost in average speeds caught out both potential pole favorite Marco Andretti and also ruined a chance for rookie Alexander Rossi to also make the shootout likewise. 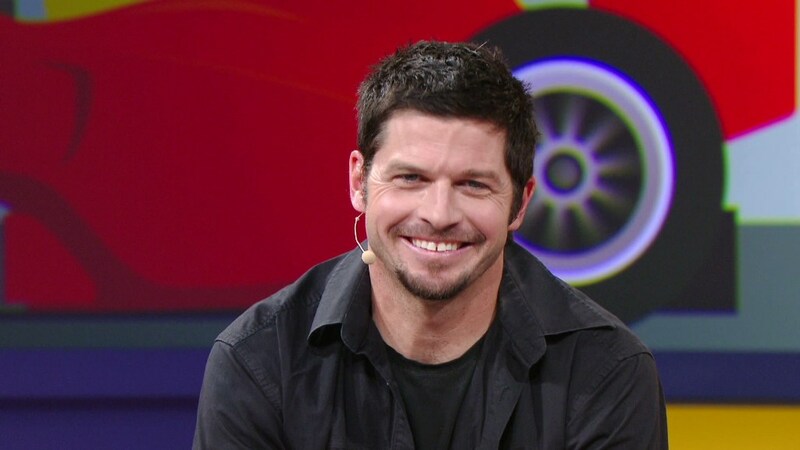 The 2006 Indy 500 runner-up, was on the edge of the cut line throughout Saturday, however like several other drivers in phase one qualifying, Andretti struggled to maintain a consistent pace over the course of a four-lap effort. As for Rossi, a 228.9 MPH fourth lap on his initial run unexpectedly put him in danger at the firing of the gun to close the session, despite posting three solid laps in the 230 MPH range on his one and only run earlier on Saturday. As the pace quickened, the 98 team was caught off guard and following Mikhail Aleshin’s impressive surge the team was suddenly on the outside of the cut. Of course, the chances for victory next weekend are higher than they were 365 days ago for this team, but still the sting being felt by both Andretti and Rossi on Saturday will be a tough pill to swallow for both. Disclaimer: Views and opinions express are solely from the author and may not reflect the views of others associated with OnPitRoad.com.